The International Dog Name Survey reveals the latest trends in Labrador names for 2019. Choosing a name can be daunting. And you may prefer to pick a more unusual name for your new friend. We inspire you with some perfect names to match your Labrador’s temperament and compliment their characteristics. And we’ll help you to pick the best name for your new puppy. For more ideas and inspiration you can also check out our huge dog names page! Choosing a name for your new friend can be daunting. After all, you don’t just have to pick something you like. Labradors have a lifespan of a decade or more so you need to be certain you will continue to like it for a long time! So how do you separate the good Lab names from the bad? Making sure that you pick from the perfect potential names for your Labrador? Well, here at The Labrador Site HQ we have done some of the hard work for you. 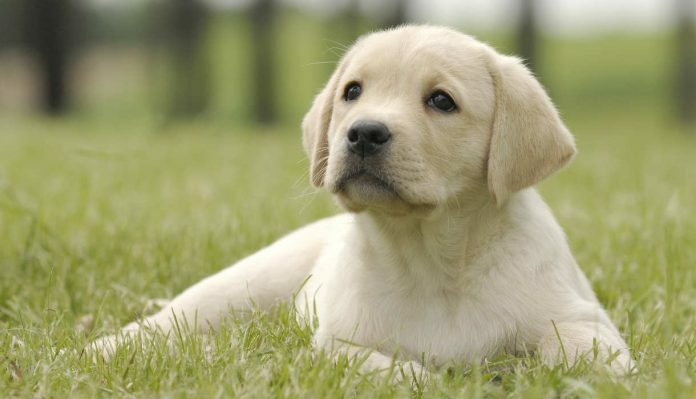 We have broken down the complex task of choosing a Labrador name into simple categories. To help you first choose the type of name you want. And then to go on to select the perfect one from the category of your choice. It is very popular to give pets so-called human names. All of our family dogs have human names, and always have done. I don’t just extend this rule to the canine members of the house, every other animal we live with also has a human name. Even down to the guinea-pigs and fish! The nice thing about using a human name for a pet is that it is formal, universally understood and can add to the feeling of their inclusion in your family. The downside of using a human name is it can be harder to get creative, and to be unique. Popular names can be very numerous when out in the world, and it can be frustrating to be one of several people calling the same name in the park. A fun way to choose your Labrador’s name is with a baby names book or website. When we get a new pet I always flick through the lists, throwing out a few suggestions to the family for their approval or rejection. You might find that shorter names, with one or two syllables only, work the best for Labradors. They are less of a mouthful, and longer names are likely to only get shortened anyway. The top baby names of each year change, with a few steady exceptions that remain ever popular. We have selected some from last year’s top 40, names which we feel work well on Labradors, of any colour or type. The top female baby names of the past year often given a good clue to those names which would make nice girl dog names. But these are just the popular names of the moment. So let’s take a look at the numerous other ways you can find the perfect Labrador name for your new pet. It’s worth remembering when it comes to human names for Labs, that it’s not just forenames that work well. Surnames can be nice too! Surnames which historically denoted trades tend to have a good ring to them, especially suiting working bred Labs. But any fairly short surname can work well. Although these can sound more masculine, there is not reason not to use them for a female Labrador if you would like. So remember, if there is someone you admire you can name your Labrador after them using their first name or their surname too! Giving your Labrador the name of an admired celebrity can be fun. It can also be a nice way to honor someone who has departed. You could give a nod in the direction of the wonderful David Bowie by calling your dog ‘Bowie’. Or even call him ‘Hans’, after the late, great Alan Rickman’s legendary Die Hard character. You could also choose a current or up-and-coming celebrity to name your Labrador after. 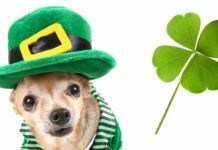 We have had a look at some currently trending and enduringly popular celebrities, whose names could sound good if used for Labradors. If you want to use the name of a current or past celebrity, then googling top 100 celebrities will bring you up a long list to flick down and see if you feel inspired. Another way to celebrate a person through your Lab’s name is to pick someone you admire from history. They can be someone very well known, or someone less recognised who you have read about or studied yourself. You might also like to name your Labrador after a character from fiction. Someone who really enjoyed reading about, engaged with or found exciting or novel. You can take a name from the classics or something more modern. I have tried to give a selection from across a few genres in these examples, but of course you can choose whatever you are a fan of and enjoy reading. You can also use the names of writers, artists or musicians for your Labrador. To make the slightly antiquated names sound more modern, you can simple abbreviate them. Or use them in their full glory if you prefer! Staying in the realms of fiction, a great way to give a vaguelly human sounding name to your Labrador but keep it fun is to go with a super hero name! The worlds of Marvel and DC have been opened up by the arrival of blockbuster movies staring a lot of our favourite comic book characters. So why not throw your lot in with the trend. This section was in danger of being as long as the rest of the article due to my personal love of the genre, but I have managed to contain it to the brief list above. However, if the super hero theme sounds like your thing, then you can find a huge list of them on this website. There are some excellent names in the comic book world, so if you are looking for fun inspiration then I would definitely check them out. If you have young kids and want to get them included in naming your Labrador, you might like to look to characters from TV or kids books that they love too. This can really help when you bring a new puppy into the home to get even very little ones on board and excited. Older children will obviously read and watch slightly more mature things than the examples above. Why not ask them what their favourite programmes are and go through the characters to see whether you feel inspired? So there is a lot of inspiration in the media that you can bring to the table when choosing your Labradors name. But what if you want something a little more different to the every day? 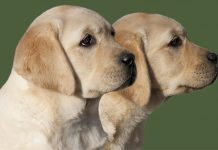 If you are looking for unique Labrador names, or some that would name an unusual Lab name, then there are a few ways to go about searching. A great place to start is further back in time. Looking at names which were popular more than 40 years ago, but which are now quite low down the ranks in terms of popularity. Some of our favourite male Lab names are now quite antiquated in a way, but can add an unusual and unique twist to your Labrador’s name. Another great way to make your Labrador’s name unique is to choose something sentimental to you to name them after. Whether it’s an obscure village you once went to, or a day of the week something special happened. Making your choice based on personal experience will give you a window into a different sort of name. Naming your Labrador after a location can work charmingly, depending upon the place you choose. Some names for countries and continents, like India and Asia, are quite popularly used as names for both pets and babies. But if you narrow your margins or think a little outside the box you can find something unique. Look at a map of your local area and note down any village names, names of rivers or even houses which sound appealing. Other unusual Labrador names can be found by taking titles and making them into names. Military or honorific titles can make quite fun names for Labradors. Another way to find a unique Labrador name is to look to nature. 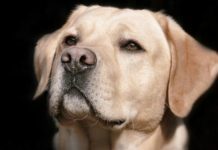 Natural Labrador names can include some very popular choices, but there are also some quite unusual ones which are just as pretty. The worlds of botany and arboriculture have seemingly endless terms and descriptions which you could use. If this theme appeals then searching for those could help you to find your perfect unusual name. Labrador names can be human style names, but they can also be descriptive. Either regarding their appearance, their personality or your hopes and dreams for their characteristics. Let’s start off by looking at those Labrador names that are related to colour. We have taken a look at some fun words to describe the brown shade of our chocolate Labradors. I have divided the chocolate Lab names into male and female categories, but of course there are no hard and fast rules for this, it’s simply a matter of taste. 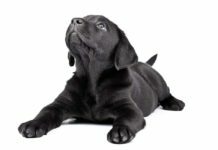 Black Labradors are the most common color of Labrador Retriever, but fortunately there are loads of great names which work really well for them. Just like with chocolate Lab names lots of these can make great girls or boys names, but we have separated them for you to make it easier to flick through. As with any name, most of these can be easily applied to male or female Labradors. I have simply separated them according to my personal preference to make these lists easier to flick through. There is of course no reason you can’t name a female Lab Onyx or a male Lab Shadow! Yellow Labs come in a range of shades, from palest cream that is almost white to a rich dark red. So we will look at the fox red names separately, as they can describe quite a different colour, even if it does officially come under the same category. Remember, the exact shade of your puppy may change as she ages, which is something to bear in mind when picking a colour based name. Although fox red Labradors are technically yellow Labradors with a darker shade, this shading can be very distinctive. You may well want to make use of your tiny puppy’s unusual colour in their name, by using a descriptive word. As well as using names to describe your Labradors colour, you can pick names which described their personality or attributes. Either those you have, or those you would like them to have. The names below are either associated with strong people or have the route word of their names originating in strength. Your new Labrador puppy will be adorable. So you might be inclined to give him or her a name to reflect just how cute your new dog is. 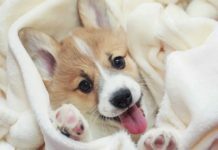 Here are some popular cute dog names, that you might like to choose from. The chances are your Labrador will love to retrieve. Check out our clicker training guide if you need some help to get your dog retrieving. There are some great Labrador names around for working Labradors, bred and used in partnership with human companions in the field. These are often themed around the tasks carried out, game found and the equipment used for them. There is nothing wrong with going with an old favourite when it comes to naming your Labrador. With the wealth of people looking for more modern or unique dog names, it actually leaves a gap for people to go back and look at the more traditional dog names for Labradors too. These do tend to be more masculine in approach, but plenty of them could be used for male or female Labrador names. As you can see, there are no end of options when it comes to naming your Labrador. Good Lab names are a matter of opinion as much as anything else, and we all have our different tastes and preferences. Before we look at some Labrador names to avoid, I thought you might like to hear some more of The Labrador Site’s favorites. Whilst no one can tell you what to call your Labrador, there are a few things to take into account when you make your decision. Joke names, rude names and especially offensive names are probably best avoided. Whilst they are funny now, will they be funny in five years time? Will they make your Grandma blush or your get your toddler into trouble at nursery when she repeats it? Will they hurt someone’s feelings or get you nasty looks when you call it out in the woods on your daily walk? The other names to avoid are those which are very similar to any command word you might want to teach your dog. Words like ‘sit’, ‘heel’, or ‘down’ will probably be used by you on a daily basis. You don’t want to add confusion into the matter by having a name which sounds too much like one of these words, and risk diluting the command. Can You Change A Labrador’s Name? If you are bringing home a new puppy, chances are your Labrador breeder won’t have given that puppy a name. The puppy may well have a formal ‘Kennel Name’ if they are a pedigree dog registered with the Kennel Club. This will be an amalgamation of the breeders official name and a word chosen by the breeder. Often this word won’t even be a name by traditional standards, but will instead be a word used to describe the litter as a whole. Some breeders do it alphabetically, or by genre or category. The only purpose of this Kennel Club name is to register your dog, and it will only be relevant on paperwork if you show or compete with your pup later in life. Their actual name is yours alone to chose. Can You Change Your Rescue Labrador’s Name? If you are adopting an older Labrador, then they will quite possibly already have a name. Either given by the previous owner or by the rescue organisation who were looking after them. You can keep the name that your Labrador was assigned by someone else if you like it, but there are several reasons you might want to change it. You may already have another dog or family member with the same name. It might be a word you find it hard to say, a bit of a mouthful or just totally not to your taste. You could even feel that with a fresh start your dog needs a fresh name. But there is another reason you might want to rename a rescued dog, and that’s if they only sometimes respond to it. If you want to use your dogs name as a recall command or a way of getting their attention, you want the name to be a command that they respond to. Getting a dog to learn to respond to a new word is far easier than getting them to respond to one which has already been diluted by inappropriate use in the past. It can also make you feel like you are truly giving your rescue dog a fresh start and a new beginning. 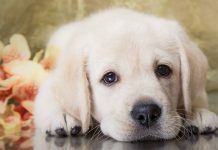 Although we have a sentimental attachment to our names, your dog will not draw an identity from it and therefore we believe it is okay in these circumstances to change your Labrador’s name if you want to. What Is Your Labrador’s Name? Why not let us know the name you choose for your Labrador, and why you thought it was the best Labrador name for your special dog? Share your ideas with us in the comments box below, we will keep updating this article with your fabulous Labrador names! Here are some of the names our readers have given to their lovely Labradors – many thanks to all those that have contributed. Still looking for Labrador Love? It’s called Choosing The Perfect Puppy, and is the ideal companion for anyone looking for a new best friend to join their family! We have had 5 labs over the years. Black Lab Female Samantha (Sam) , Yellow Lab’s Female Indy, Chloe, Yellow Lab Male Cooper and our current Black Lab Male Baxter. Looking for the perfect name for my yellow lab pup. Was considering Pluto or Schroeder to match Linus My black lab who’s name didn’t make the list. ? We are on our 3rd lab. 1st was Otis, a giant headed black lab, then Angus, named for Angus Young from AC/DC, a black lab, and now we have Earl, our chocolate pup. Also affectionately called Milk Dud, or Junior Mint! I have a Labrador named “Oakley” and she was named after a YouTube husky that died. ? but she was also named after an oak tree too! I have 2 black Labs, elder is Badger (from the Jilly Cooper books) and younger is Gus, it was a toss up between Gus and Hector (from Greek mythology) but we went with Gus and it suits him. I love them both to bits and love their names. B3 ..this is our 3rd male pup..Barney 1 & Barney 2..so our new dudley puppy became B3: short for: King Barney the 3rd..
We have two Fox Red Labs – a 2 year old, Hugo, who is such a well behaved but fun loving gentleman and Izzy, a 3 month madam, whirling dervish… with so much energy. My favorite chocolate lab is named “Charlie Brown” and it suits him really well! Hi from Kent, England. I called my yellow lab puppy Boo Boo. Soon to be two yrs, she is super friendly both with humans and most other dogs, not so keen on growlers. And I love her to bits. Took my 10 month chocolate female name Cocoa to the local doggy park, out of approx. 14 dogs of all different breeds there were three chocolate female labs all called Cocoa! Just got a our daughter a yellow lab puppy , (male) she named him Calvin !